Arizona has he most striking terrain, composed of mountain ranges, immense dessert valleys and several large lakes and canyons all within a few hours of each other. 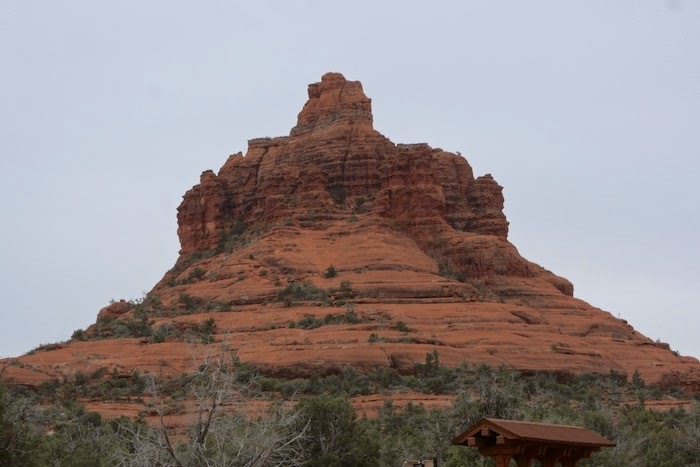 For me one of the prettiest areas of the state is Sedona, with its red rocks jutting out in every direction. Not only is it beautiful but it also has amazing resorts/spas and dining options. Spending a weekend in Sedona is a nice relaxing way to escape city life and something I try to do from time to time. With five-star restaurants like L'Auberge & SaltRock finding good food is never a problem but there are times you may not want a full meal hence the Veranda Bar. 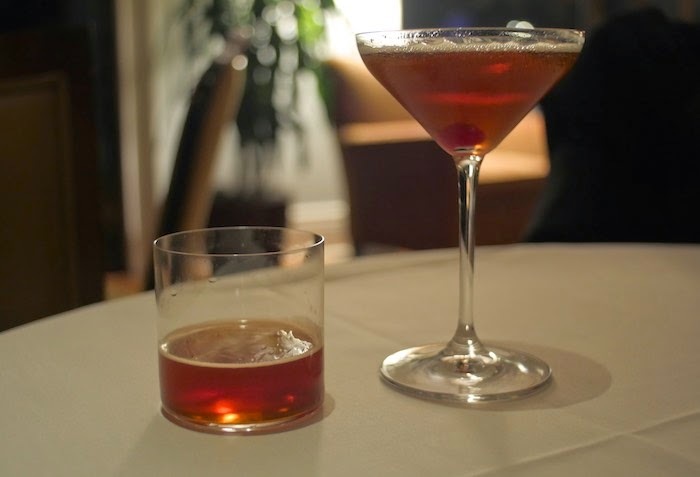 Located of the lobby of the beautiful L'Auberge Resort the Veranda bar is an expansion of the creek-side dining area of L'Auberge where one can have a more casual yet delicious food experience. 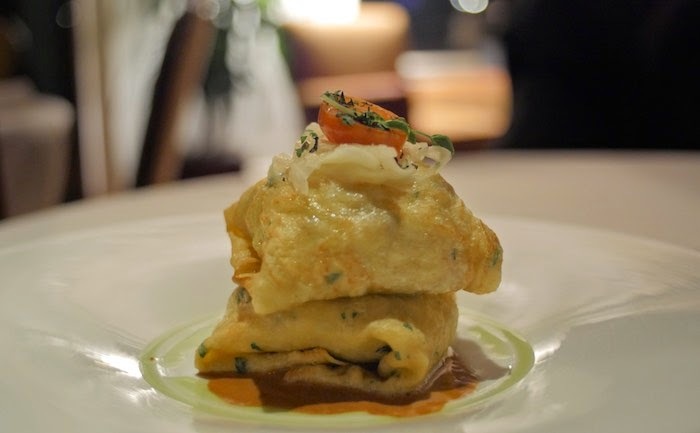 Crepes stuffed with Dungeness Crab meat, roasted tomatoes and butter braised shitakes. 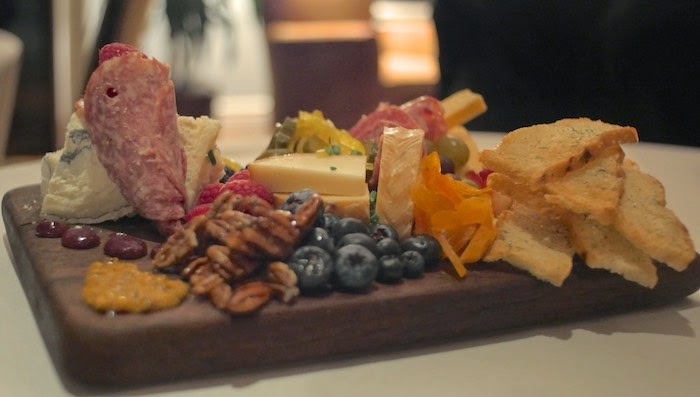 An Artisanal Cheese & Charcuterie Plate comes with a daily selection of 3 cheeses, house-made mustard & jam, along with fresh & dried fruits, nuts and various meats. 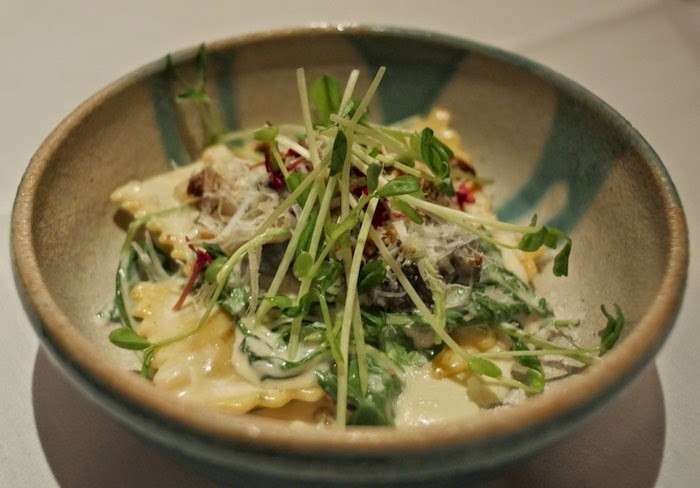 Another delicious choice off the menu would be the butternut squash filled ravioli adorned with micro greens and Parmesan cheese. 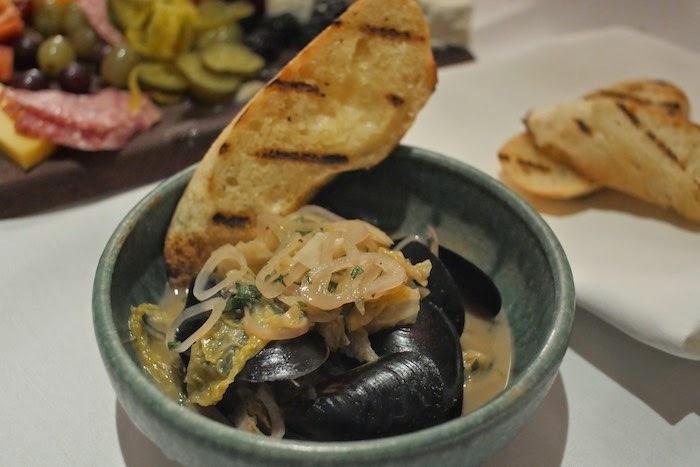 The mussels are also stellar at the Veranda Bar and a must order item in my opinion. My husband and I almost went to Sedona this year and it didn't work out. Now I want to go even more! What a beautiful experience at the bar. Love Sedona and this looks like a definite for a restaurant. I have only been to Arizona once. It is so beautiful! The food at your resort looks amazing! That scenery...those crepes...that platter of deliciousness!!! Yes, please (to all). Now why oh why have we not been to Sedona yet? It looks so beautiful and the food plus cocktail are just mouthwatering. We've only driven through Sedona but not stopped for the food. I want to go back so badly now and partake in all this deliciousness.